LEGOLAND is the ultimate family destination in northern San Diego County, packed with more than 60 attractions. From roller coasters to specially themed areas like Pirate Shores and Castle Hill, this LEGOLAND is sure to be a hit with your whole family. In the mood for something a little more aquatic? The SEA LIFE Aquarium is right next door to LEGOLAND, and tickets start as low as $16 a person. This attraction is a blast for all ages, and it’s a fantastic opportunity to get to know our majestic friends from the sea a little better. With numerous beaches and ocean side entertainment galore, there’s a reason Carlsbad is called “the Village by the Sea.” Tamarack Beach is one of the most popular family beaches, offering scuba diving and windsurfing, in addition to the usual attractions. Though the beautiful Carlsbad Flower Fields are currently closed for the 2015 season, this is one destination you won’t want to miss come spring. Planning a wedding? The Flower Fields are still open for special events, by request – and what location could be more romantic? 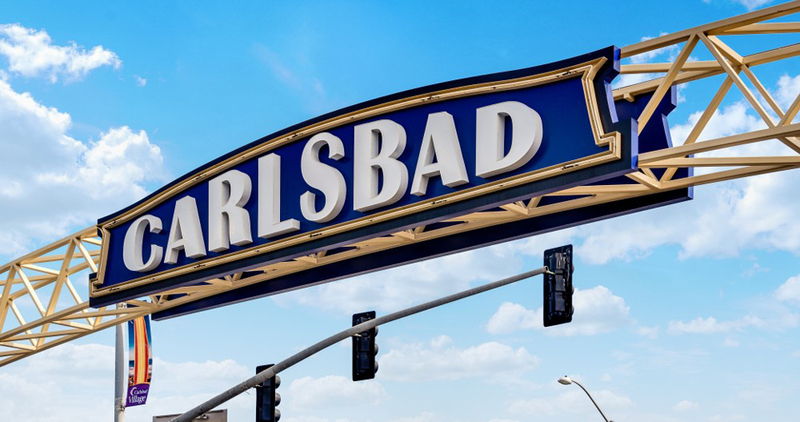 Carlsbad is home to a number of premier shopping locations, including the Village Art & Antique Mall, and the Westfield Mall. Whatever you’re searching for, you’re bound to find it at one of these two outlets. With over 50 miles of trails, Carlsbad is a dream location for outdoors enthusiasts. Hosp Grove Park offers some of the most extensive trails in the city, as well as stunning views of the Pacific Ocean and Buena Vista Lagoon. Visit the City of Carlsbad website for a full list and printable map of local trails. Near The Reserve, you’ll find a vast array of fine dining. One of our favorite restaurants is the Carlsbad Beach Bistro, which – from its vantage point within the Hilton Garden Inn – offers a breathtaking beachside view. If you’re looking for a more permanent place to stay in Carlsbad, consider Decron’s luxury apartment community, The Reserve at Carlsbad. Located near some of Carlsbad’s hottest sites and attractions, including Hosp Grove Park and Tamarack Beach, there’s no better place to live in Carlsbad! Learn more about the apartment community here. Did we miss one of your favorite destinations in Carlsbad? Let us know your #1 spots in the area, on the Decron Facebook or Twitter!